As of now, India has five versions of Agni missiles in service plus one Technology Demonstrator program and two other versions in development. As interesting as it sounds, it is also a bit confusing to keep track of. This article contains information collected from press releases, interviews and other open sources about different versions of Agni missile. There is a quite a bit of misleading information and a lot of missing pieces which make writing any article like this a challenging proposition. I’ve gone through dozens if not hundreds of articles, interviews and official websites to collect the information presented here and believe that most of it is as accurate as Indian establishment wants it to be. If there are any inaccuracies, please feel free to point them out. 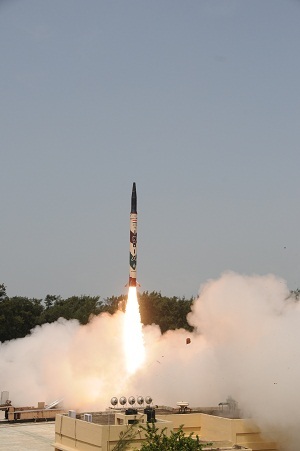 REMARKS: Agni -TD missile was used as a technology testbed and a technology demonstrator. It used first stage of SLV-3 space vehicle and second stage of Prithvi short-ranged ballistic missile, both liquid fueled. Both of it’s stages had be refueled before launch and thus had little practical use as a strategic deterrent. It’s development was supposedly abandoned after 3 tests. OPERATIONAL : With 334 Missile Group. 25 Jan 2002 – Success. Apogee : 300 km. 9 January 2003. Success. Apogee: 300 km MRBM test with dummy warhead. 4 July 2004 – Success. Apogee: 300 km (180 mi). 5 October 2007 – Success. Apogee: 300 km (180 mi). 27 March 2010 Success. Apogee: 300 km. Test launch. 13 July 2012 -Success. Apogee: 200 km. Test mission..
11 September 2014 – Nation: India. Apogee: 500 km. Training launch. REMARKS: . Agni – 1 is supposedly Pakistan specific missile. 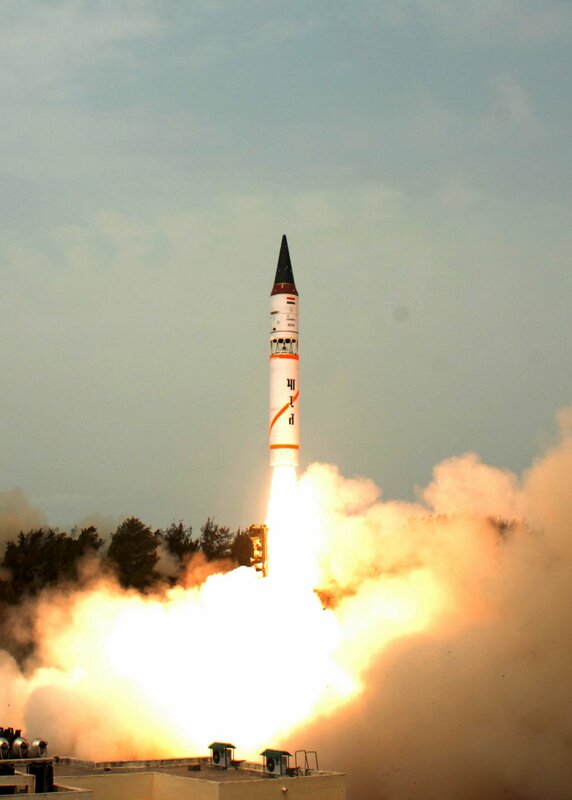 It was developed after Agni – 2 missile to cover the range between Prithivi’s 200-300 km and Agni-2’s 2000 km range. Presumably it will have a smaller cost and small numbers in service. WEIGHT (kg) : 17000 kg . Includes 1000 kg payload. 25 Jan 2002 – Success. Apogee :300 km, Range 2000 km +. Rail launcher. 9 January 2003. Success. Apogee: 300 km, Range 2100 km with dummy warhead. Road launcher. 27 March 2010 Success. Apogee: 300 km. 13 July 2012 -Success. Apogee: 200 km. REMARKS: Agni -2 is the first MRBM in Indian arsenal which incorporates a wide range of vital technologies like road, rail mobility, active guidance for re-entry vehicle among others. It was a vital stepping stone for Indian ballistic missile programe on it’s way to present a credible deterrence against China among other countries.It’s induction in Indian arsenal is an indication of success in creation of light weight nuclear warheads. WEIGHT (kg) : 22000 kg. 9 July 2006- . Failure. : Failure.Apogee: 100 km (60 mi). 12 April 2007. Success. Apogee: 400 km (240 mi). 7 May 2008 Success. Apogee: 350 km (210 mi). 7 February 2010 Success. Apogee: 350 km (210 mi). Range: 3,500 km (2,100 mi). 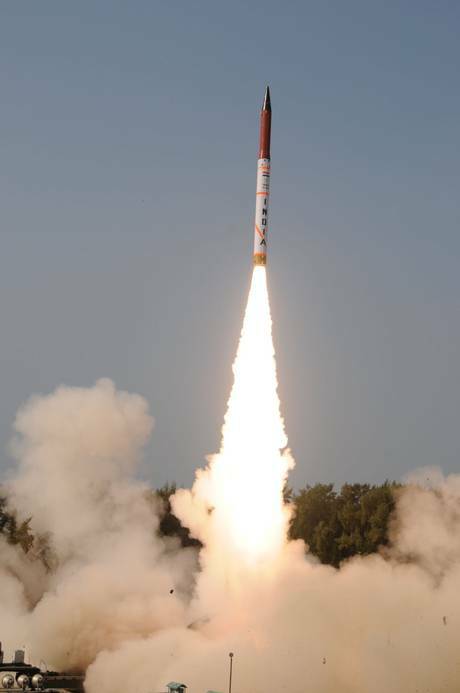 20 September 2012 Success.Agni III RV 500 km (310 mi). Test mission. 23 December 2013 Success. 350 km (210 mi). REMARKS: Agni-3 is an advanced and longer ranged IRBM successor to Agni-2 MRBM. This was the first missile in Agni series with 2 m diameter compared to 1 m and 1.3 m diameters of previous missiles. 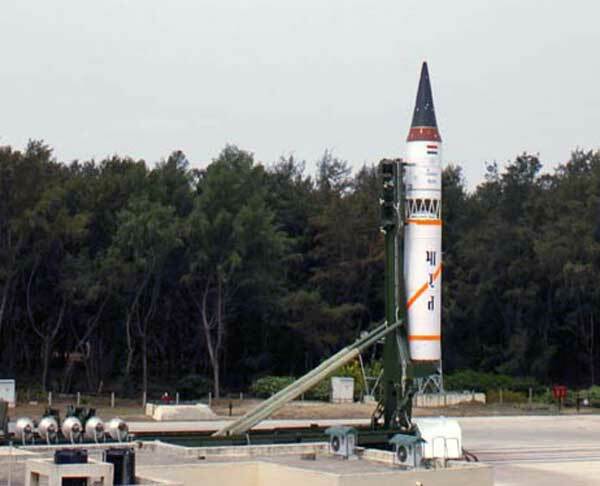 The first Agni-3 missiles wighes 50 tonnes, though it was reduced to 22 tonnes later by use of composites materials. WEIGHT (kg) : 17000 kg. 15 November 2011. Success. Range 3000 km +. Apogee 900 km. 800 kg payload. 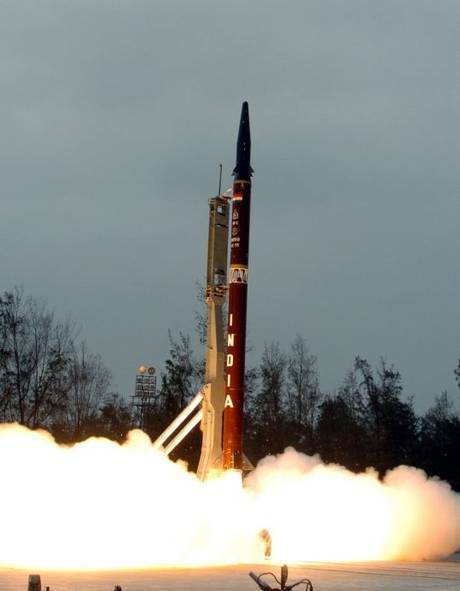 REMARKS: Agni – 4 was called Agni-2A or Agni-2 Prime for a short while and was presumably used as a test bed for a bunch of new technologies including a new navigation system and composite stages. There is no reliable open source confirming it’s exact payload capacity. The missile is reportedly equipped with state-of-the-art avionics V-12 fifth generation On-Board Computer. 19 April 2012 . Success. Apogee: 600 km. 31 January 2015. Successful. Canister launch. Range 5000 km. Apogee: 500 km. 26 December 2016 . Range, 2500 km. Flight time :19 minutes.